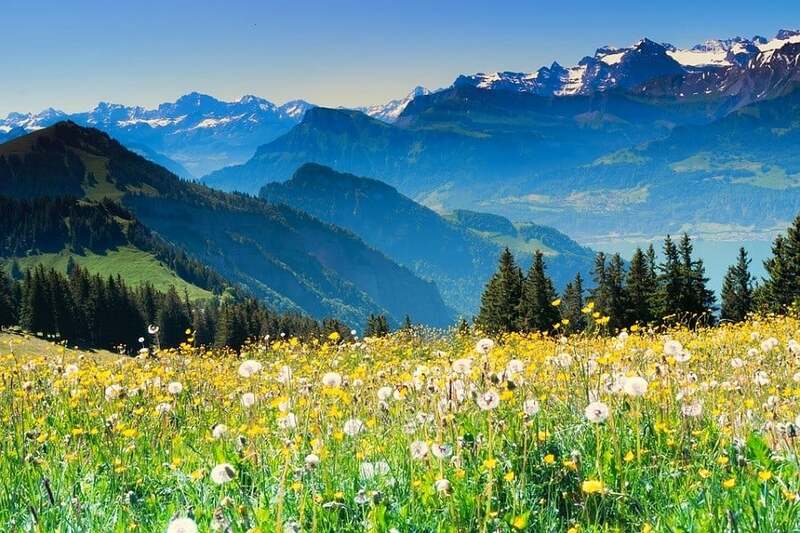 Switzerland – a land of majestic mountains, glimmering streams and lakes, and picture-postcard villages. Hundreds of holidaymakers and would-be residents flock there to take advantage of one of Europe’s most beautiful Schengen countries. With snowy peaks and lush hills, captivating cities and charming towns everywhere you go here has a multitude of fascinating and exciting things to do and see. 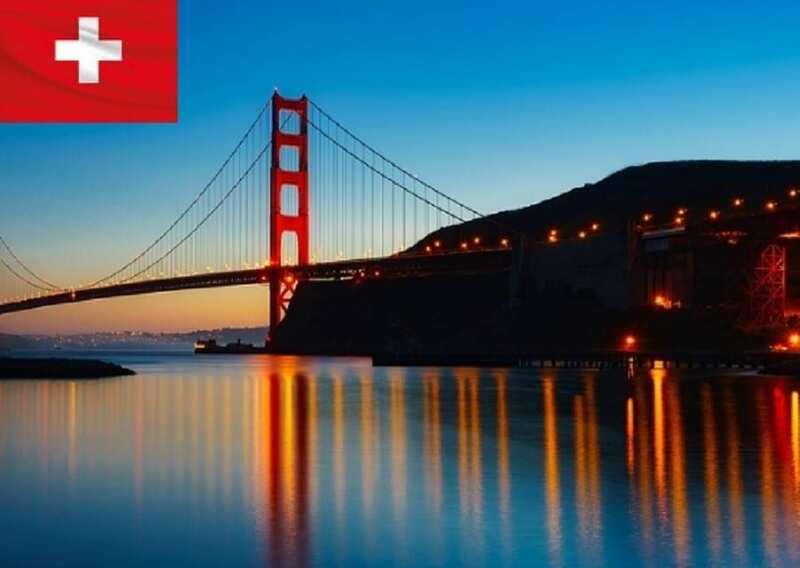 In this article learn more about how to apply for Switzerland Visa at the Swiss consulate in San Francisco, California, Switzerland visa appointment booking, Processing time at the Swiss visa application center and Swiss Visa Application Process at the San Francisco consulate. There were 1,029,564 Swiss Schengen visa applications received across the globe. 39,969 were refused. 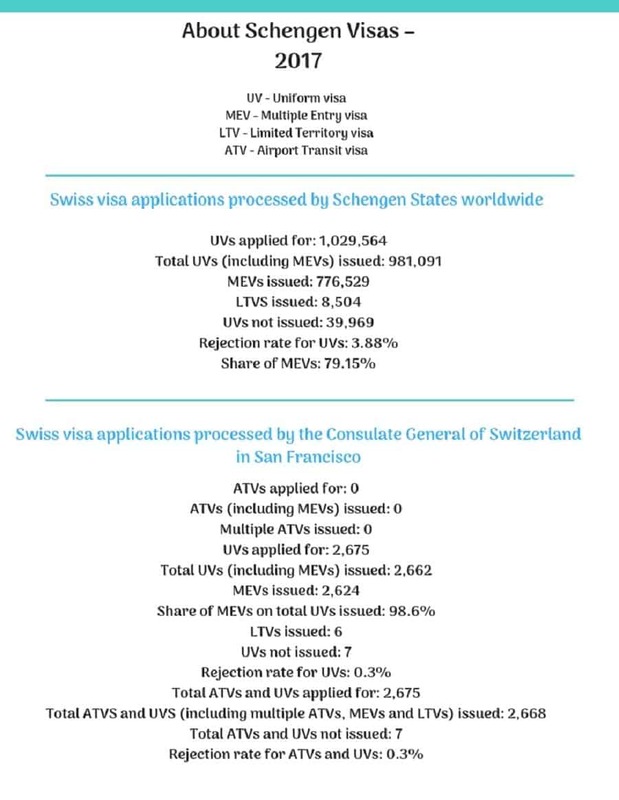 The Swiss consulate in San Francisco rejected 0.3% of the 2,675 applications received. 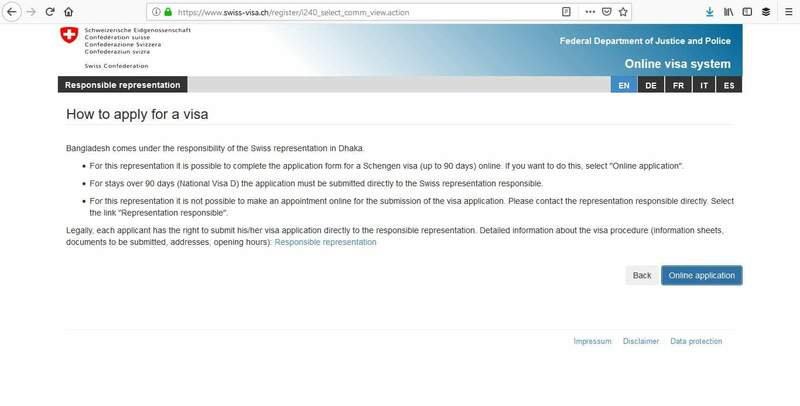 If you are US citizen there is no need to apply for a Schengen visa. 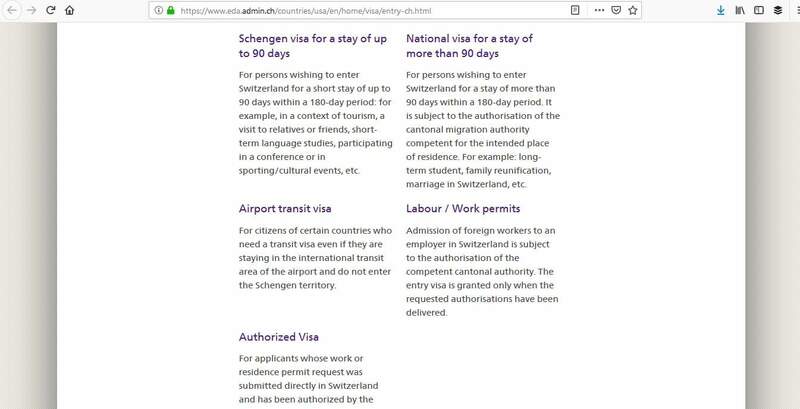 However, if you are not a citizen of the US by birth, but you live in the US permanently, you have to apply for a Swiss Schengen visa. Check the consulate’s website for a list of nationalities that are exempt from applying. 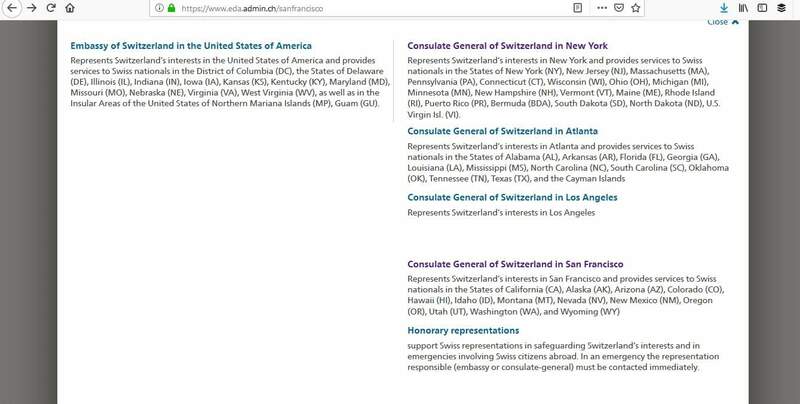 The Consulate General of Switzerland in San Francisco has a variety of visas available and the one you apply for will depend on how long you’re going to Switzerland for and why. National visa – over 90 days for study, family reunion, marriage etc. If you apply for the wrong visa, your application will not be processed and you will have to start again, so make sure you take the time to check the consulate’s website for details in the one you wish to apply for. In addition, you must apply for your visa well in advance of your trip to ensure that it is processed in time for your departure. You can apply anything from 15 days to 90 days beforehand. The consulate aims to process visas in 10-15 days, but these times vary depending on the nature of your application. It could take anything up to 60 days, so bear that in mind when you’re thinking about when to apply. Once you have familiarized yourself with the website, just follow these 4 simple steps. The consulate waiting times for appointments can be up to 5 weeks so, as stated above, apply in plenty of time. 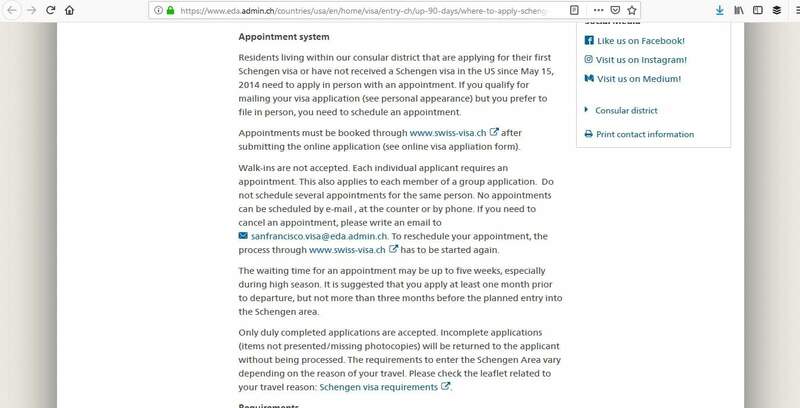 If this is your first time applying for a Schengen visa, you must make an appointment by using the consulate’s online system. The online system is only for applicants who are planning on visiting Switzerland for up to 90 days. If you are planning on going for over 90 days, you must submit the application in person, but you must still make the appointment online. You can now complete your application online. At the end, you will be able to book your appointment, and pay the relevant fee by credit card if you wish. If you are not eligible to complete your application online or you prefer to complete your application manually, you can download it from the consulate’s website. If you fail to present all the required documents at your appointment, your application will not be processed. So take extra time to ensure you have everything together. Check the consulate’s website for everything you need to present. Please be aware that you must provide originals AND photocopies. It is your responsibility to check what you need to submit for your application, so check the consulate’s website for more information as to what you need for your type of visa. 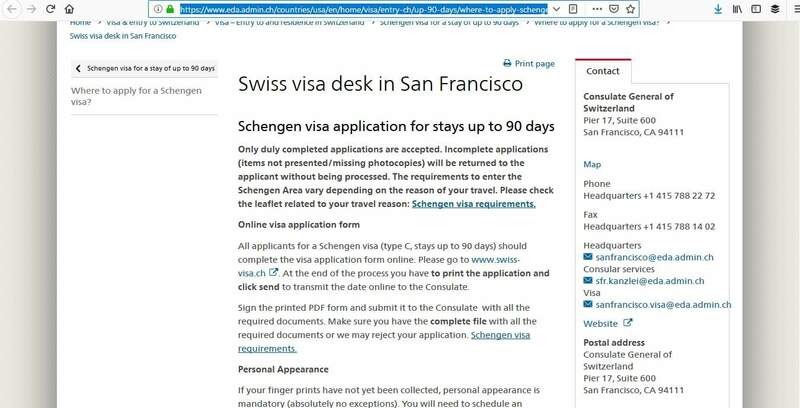 As mentioned above, if you have received a previous Schengen visa and had your fingerprints recorded since 2014, you do not need to attend the consulate in person. You can mail your application instead, including your previous visa sticker as well as all the required paperwork. For applicants applying for the first time, you must attend your interview in person. On the day of your appointment, arrive at the Swiss consulate in San Francisco early. You don’t want to miss your appointment and the few extra minutes will allow you to make sure you haven’t forgotten anything. The clothes you wear can also affect how the visa official views you, so dress smartly and take this part of the process seriously. After all, you are the one who is looking to get your application approved. 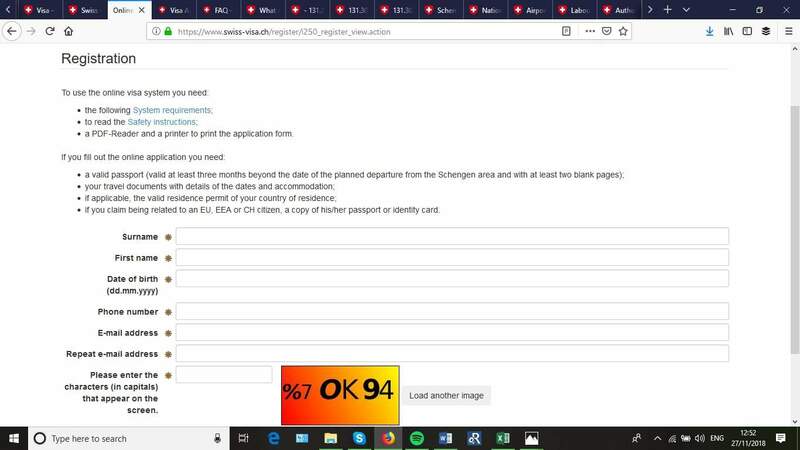 Have you traveled before to the Schengen zone? Do you have children? If so, how old are they? Will you come back at the end of your trip? If you are applying in person, you can pay by cash or credit card. You can also pay beforehand if you are submitting the application form online. 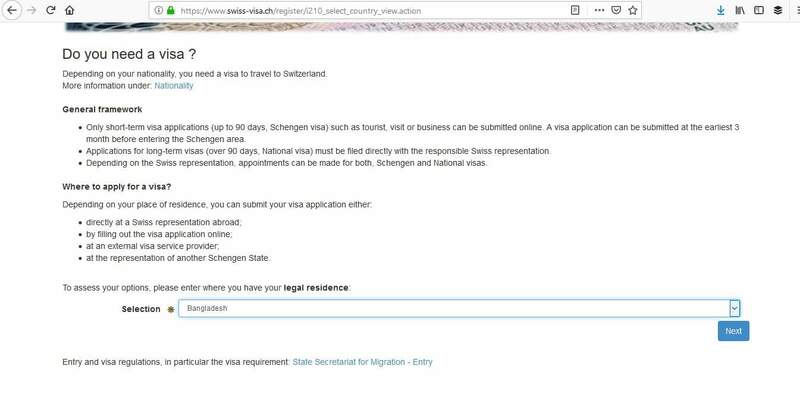 If you are applying by mail you can send a money order payable to the Consulate General of Switzerland. The best way to avoid these rejection reasons is to make sure that all your documents are valid. Provide all the required paperwork, including signatures on everything, when you hand it over to the consulate, ensure that the information you have provided is the same, and confirm why you wish to travel. 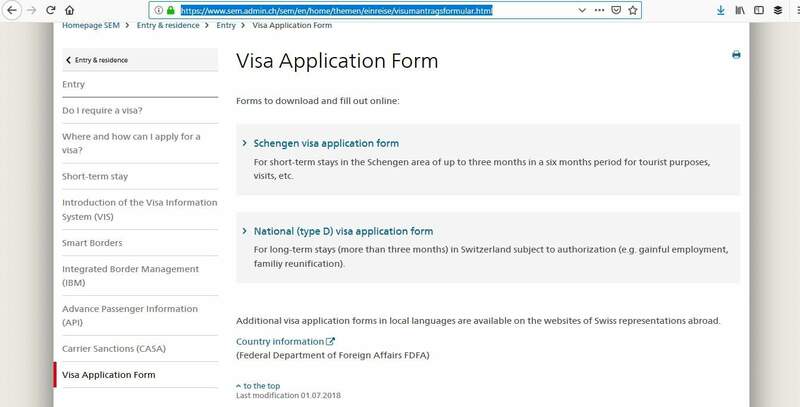 In summary, you only have to follow these 4 easy steps to apply for your Swiss Schengen visa. Really, it’s only 3 simple steps to follow because once you have attended your appointment, all you need to do is to wait for your passport and your new visa. Once you have that, you can get on and start to prepare for your dream trip!